The ship is finally being painted! Or rather, I’ve been painting it on and off for months, but to be honest it’s boring as anything – much more dull than putting it together. Nevertheless, I’m grinding my way through it and figured you’d like to see some WIP shots as some of you have been following through the whole progress. Plenty of work is still needed, but I’ve noticed that making these posts tend to remind me that the thing is progressing and boost my motivation! I’m at the crucial stage where projects are either finished or left to gather dust momentum, and I’m definitely going with the former. So, here’s the ship. As you can see, I went for a wood/black/red colour theme with some gold and brass detailing. 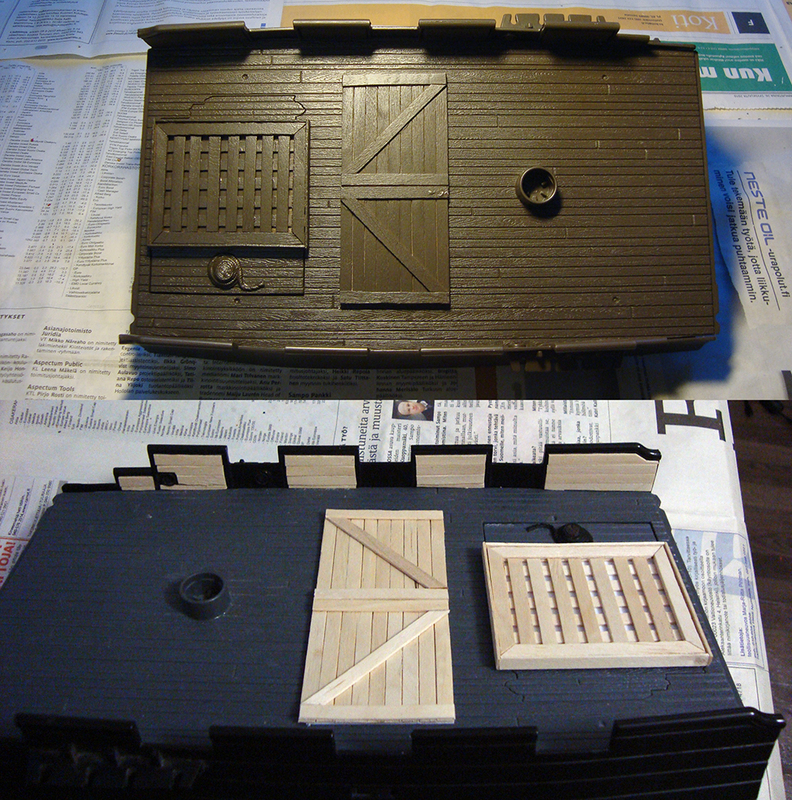 Note that only the outside of the ship has been washed and drybrushed, the decking is still heavily WIP, missing all detail work, so it will look a whole lot better eventually. 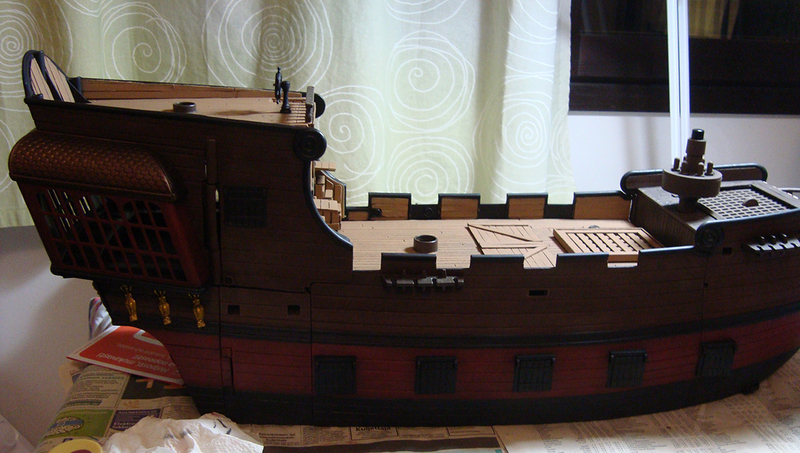 The ship is also still missing its figurehead as well as the stern lanterns, which I haven’t painted yet. There’s still loads to do, but it’s progressing. I wanted a colour scheme that was menacing enough to be used as a pirate ship but also neat and clean enough for the ship to be used as a more reputable vessel if needed. 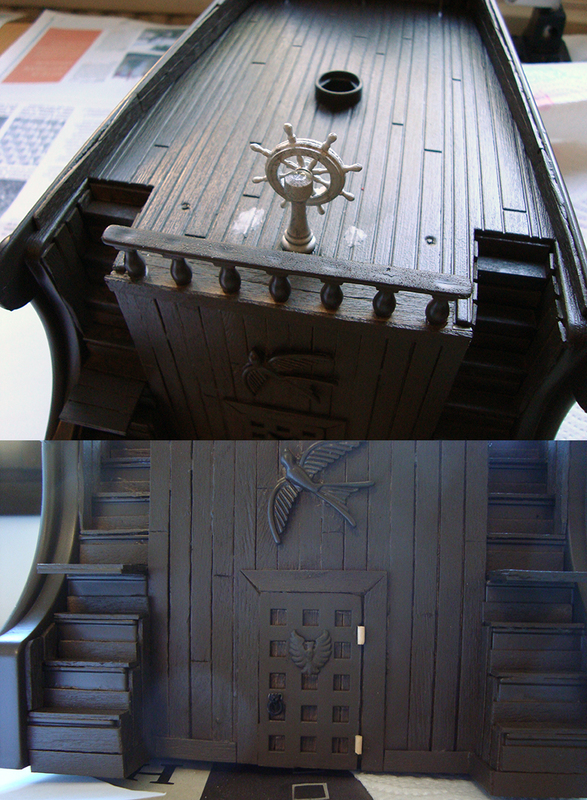 The ship has a fair amount of decoration and detailing. I went with gold for these, as I love how they give the ship a bit of extra flamboyance. 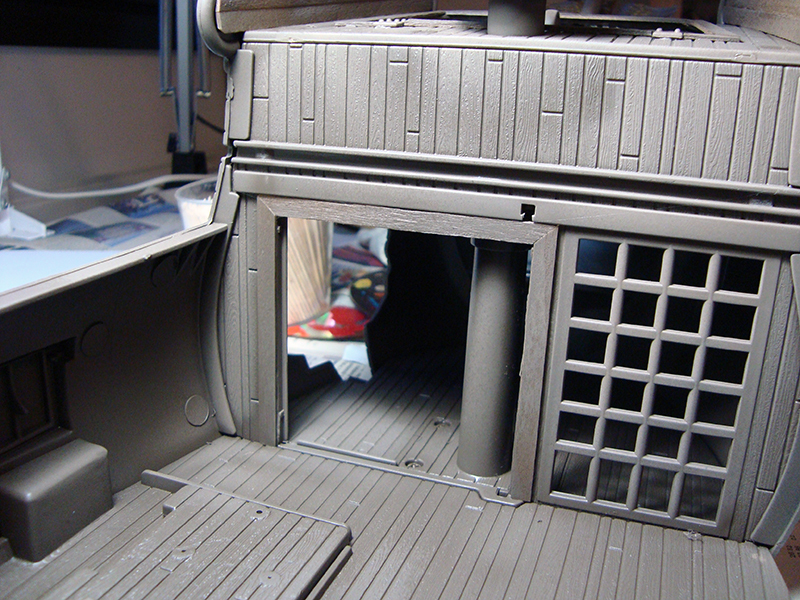 Most credit goes to my lovely girlfriend who painted the extra fiddly stuff by the aft windows. I’m somewhat sorry for the poor quality photos, but hey, that’s WIP for you! C&C welcome as always. 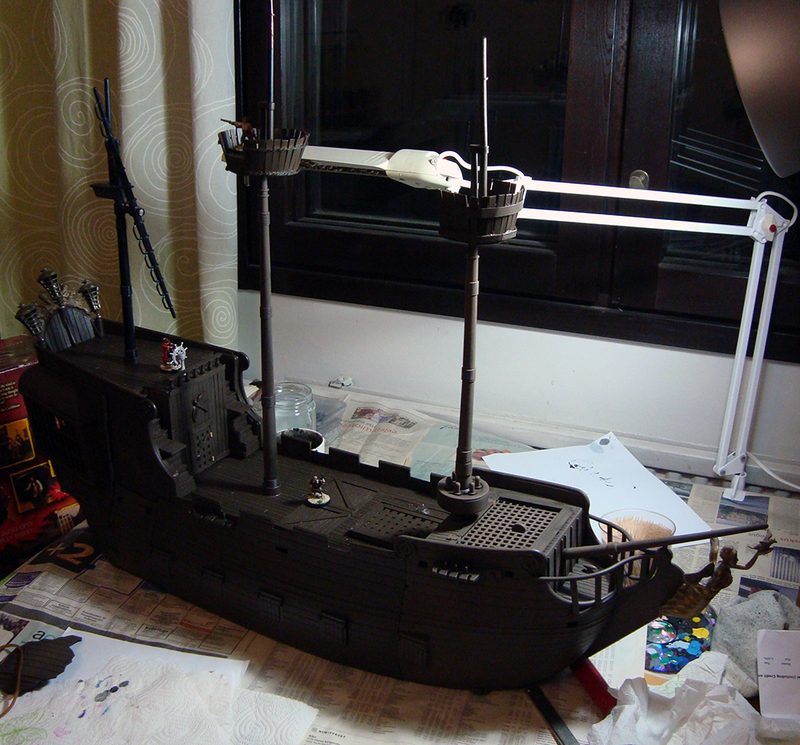 I’ve been working hard on the ship in the past few weeks, and it’s almost ready to paint. Here are the latest updates. I sadly forgot to take a lot of photos, but this should give you a fair idea. I got to work on the ship’s hold. The key elements were stairs and something that I think was meant to represent a chest. There was also a large, barred gate leading to another part of the hold. I decided to remove the door, leaving a very large doorway. The hole in the background is one of the ship’s toy functionalities, as there’s a matching piece that blows out when a button is pressed – a mechanism I left intact. I went to work on the stairs and what I’ll now call the chest. I wanted the stairs to be usable in games, so I used plasticard and build a platform halfway down the stairs to allow me to place minis. The chest was given a very rough treatment, as my plans only involved covering it with planks. 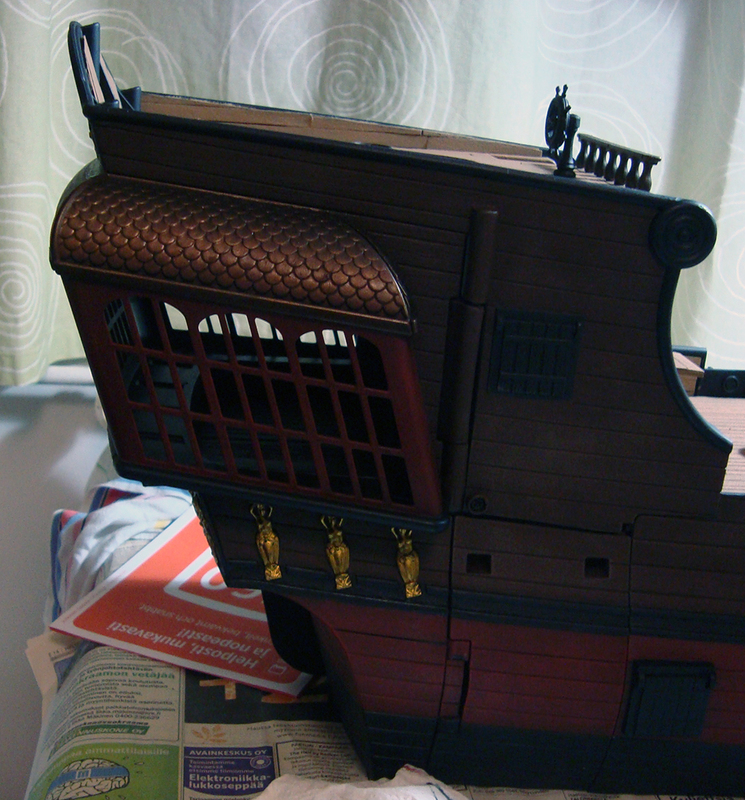 Sadly, there are WIP pictures missing here, and I’ll just skip ahead to where the stairs and the chest are finished. 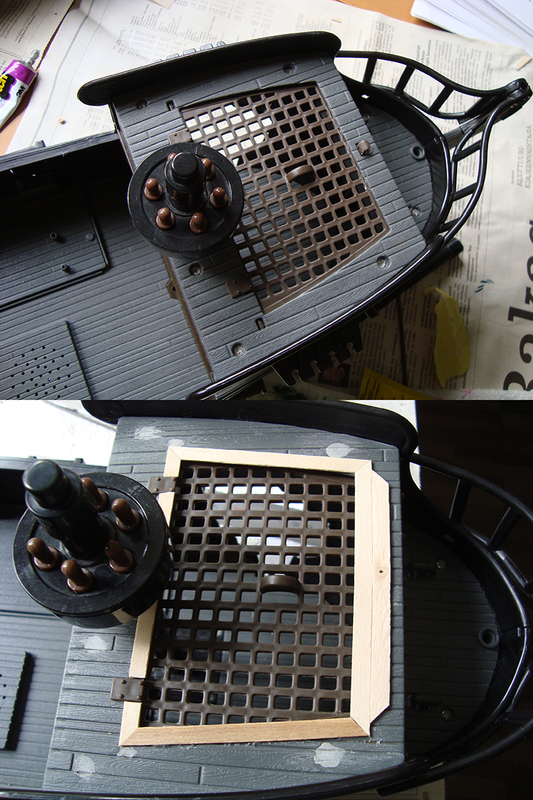 You can see I also chopped down the pegs that were originally holding the ship’s toy cannon. 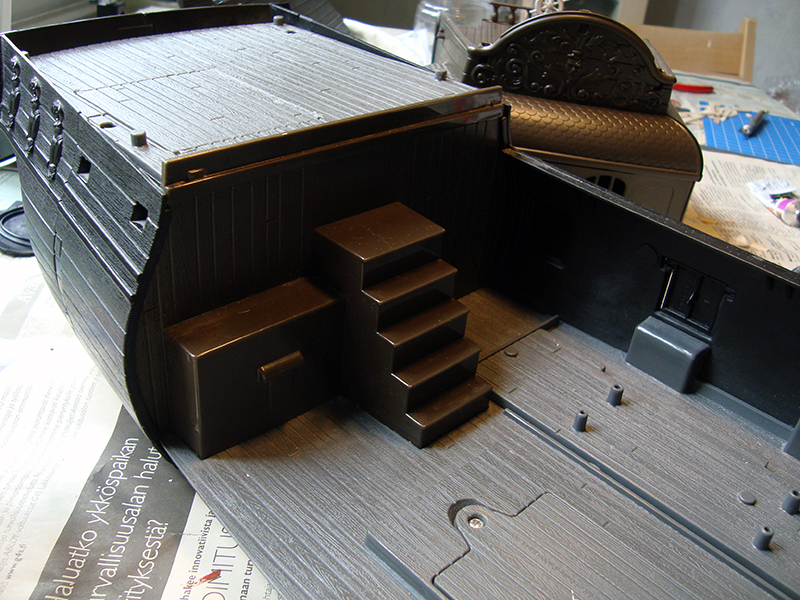 As you can see I added some details to the stairs to make them look a bit nicer. I also added planking around the battery case for the same reason. As you can see, the whole thing has already been sprayed a glorious brown. I gave the doorway a frame, but left it otherwise untouched. I figured the size makes it look like the ship is capable of taking in loads of cargo. 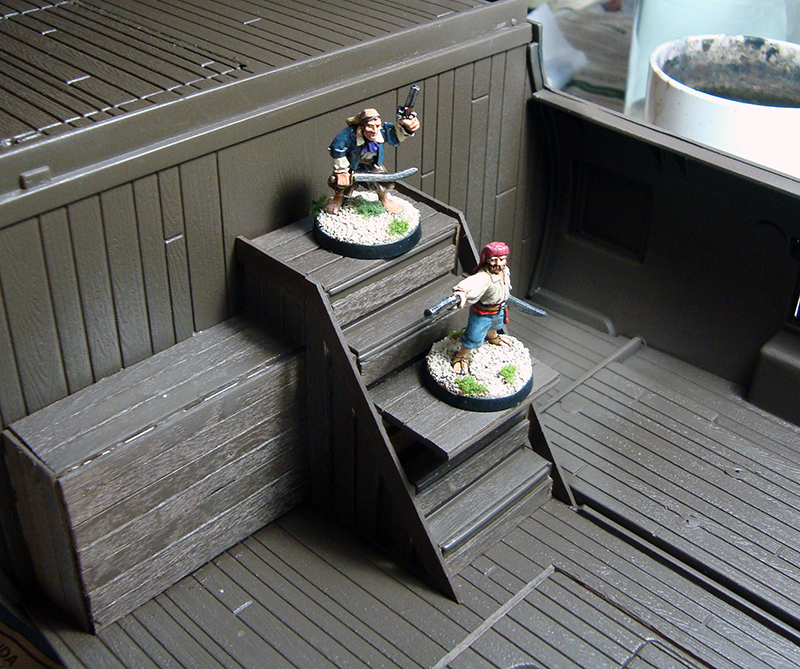 As you can see, the stairs can nicely accommodate a few pirates. Apologies for the unusually poor quality of the photos, they’ve been hit with a fair amount of blur and excess lighting. The uneven, bleached look in some of the brown areas isn’t only due to lighting, however. I spray painted part of the ship during really humid weather, i.e. Finnish summer, so I got some of the lovely frosting that tends to happen. Luckily the brown paint it there primarily to serve as a basecoat, so no real harm done. Here’s a final photo of the ship in its present state. 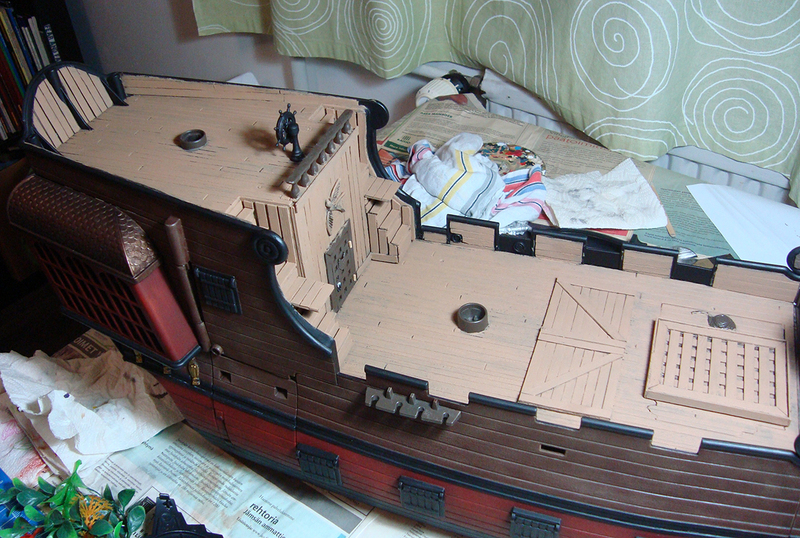 As crazy as it sounds, all I need to do is rough up the mizzenmast, add some planking to the forecastle and basecoat both, and I’m actually ready to start painting this thing. For the paint job I’m thinking of something similar to the one on this model of Bartholomew Roberts’ Royal Fortune, so burnt umber with a dash of red. Of course I want to throw in something a bit more extravagant, so you can be sure you’ll be seeing a lot of gilding as well. Getting there! In my previous post I lamented too small cannon, so I wanted something bigger. Remembering I had just the thing in my bits box, I got to work. 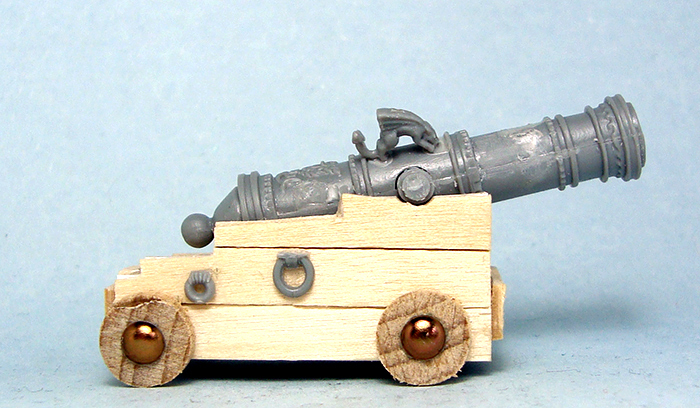 Said “thing” is a WHFB cannon from the 6th edition boxed set, now 15 years old. It’s not in the best shape, having had bits glued, removed, re-glued and so on, as well as fairly haphazard filing and smoothing of mould lines and such. Nuestra Señora de la Concepción (Spanish: “Our Lady of the (Immaculate) Conception”) was a 120-ton Spanish galleon that sailed the Peru – Panama trading route during the 16th century. This ship has earned a place in maritime history not only by virtue of being Sir Francis Drake’s most famous prize, but also because of her colourful nickname, Cagafuego (“fireshitter”). Seriously, is there a better name for a massive Spanish cannon than “Fireshitter”? I think not. It appeals both to my love of history and 10 year old’s sense of humour. – Captain, they’re not striking their colours. – Very well then. ROLL OUT CAGAFUEGO! It turned out alright, I think! Sure, anyone into things like history and realism will probably find plenty of things wrong with it, and there are some irregularities here and there, but to my fantasy pirate eye it looks as it should. The core structure is plasticard with an old Warmaster base underneath. 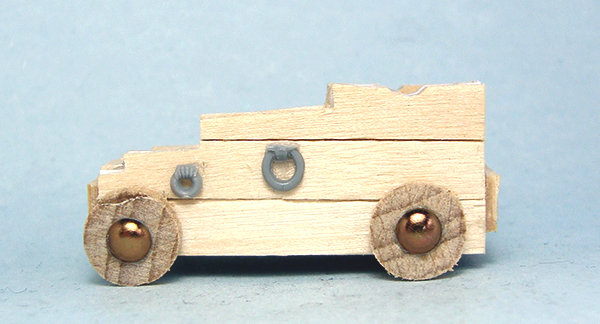 The wooden bits are coffee stirrers, the wheels are cut from 10mm diameter dowel rod and the axles are decorative studs meant for clothing. The smaller iron rings are plastic pieces from the original cannon set and the bigger ones are from WHFB orc weapons. As with a lot of my woodwork, this one also relies a lot on the “it’ll look nicer once painted” factor, but I have high hopes! 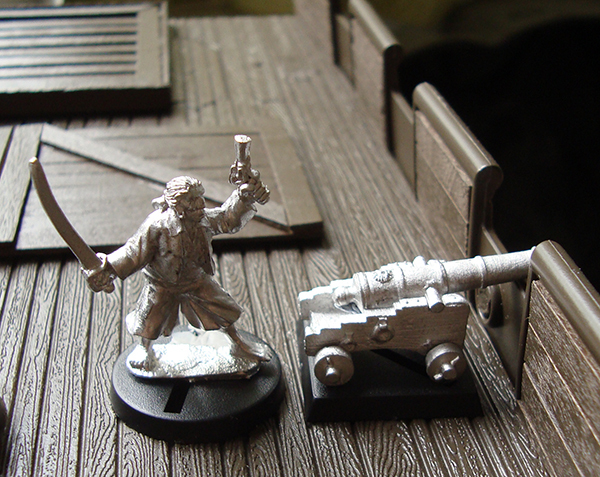 To cap off the post, here’s a comparison shot of Cagafuego and my existing Ainsty cannon as well as a Foundry pirate. Neat, right? Run out the baby guns! Now, what to do with the six guns I already own? They will probably find employment in small coastal settlements, guard towers and such. I’m also thinking I might use some of them as very large swivel guns like shown below, what do you think? I feel it might work with a bit of converting. The ship project is my first time working with coffee stirrers. It’s immensely fun and satisfying work, as the perfectionist in my rejoices every time I manage to make a nice, fitting angle. 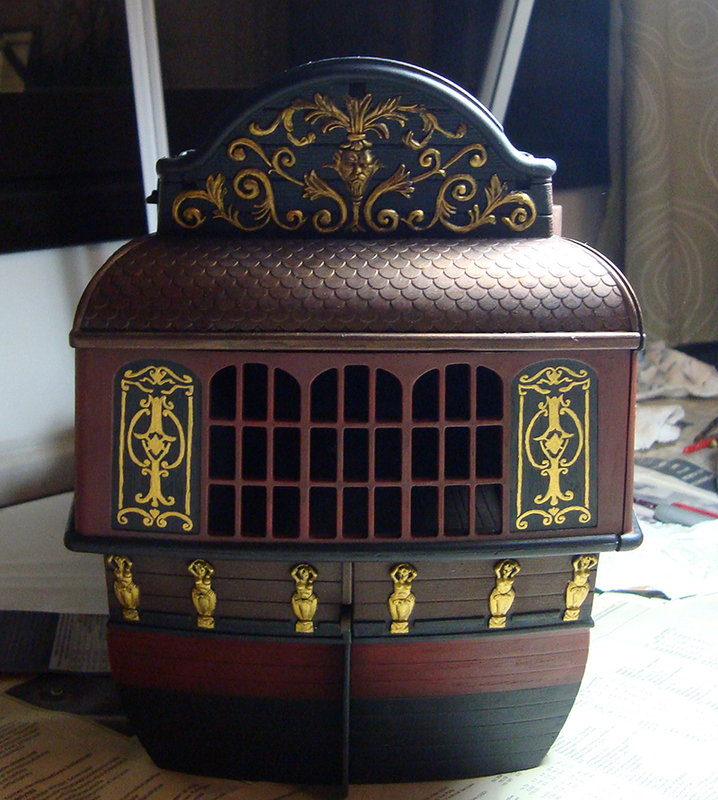 On that note I present to you my latest work on my ship’s foredeck. The foredeck isn’t a very large part. The deck planking had plenty of holes for screws in it, so I filled those with ProCreate putty. While they don’t look very nice, once painted they blend in quite well. The lattice hatch was designed to open and drop action figures down into the hold. As obviously I didn’t want that to happen to my miniatures, I glued it shut. While the hatch itself looked fairly nice, it looked weird situated sort of under the deck planking. I added a rim around it, and I think this improved its look a lot. It was the most difficult cutting work so far, so you can imagine how happy I was when everything finally fit into place. 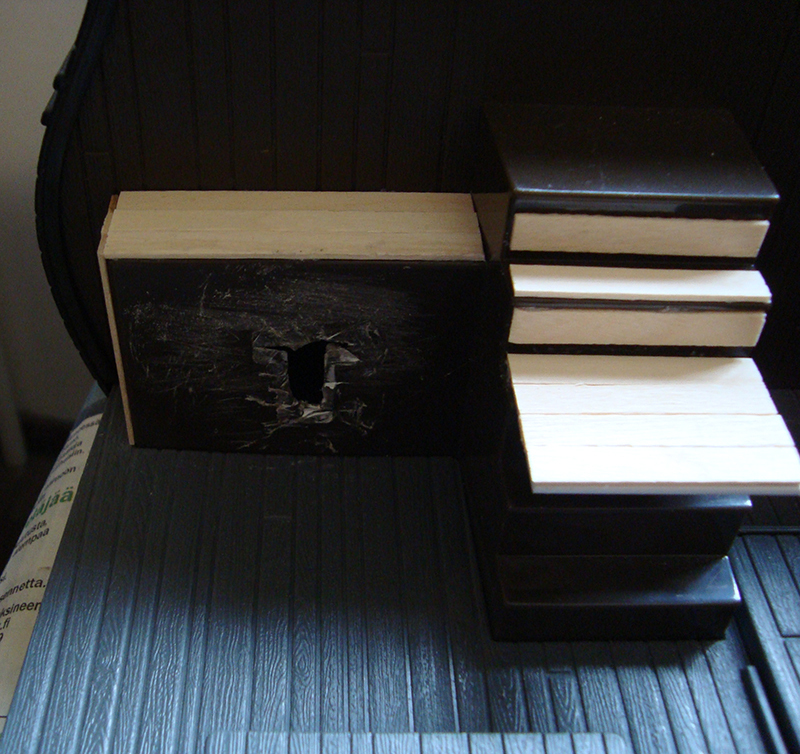 I added a decorative piece (the foremost plank) to cover up the cut off peg that originally locked the hatch in place. I liked the look of the hatch hinges, so I left them in place. The belaying pins at the base of the mast can be pressed for awesome sound effects, so they’ll definitely be left in place. With this part done, the foredeck only needs a little more planking work and two more screw holes filled (oh my, that sounded somewhat inappropriate). After that it’s a bit more work on the hold and that’s it. I’m actually finishing this thing! 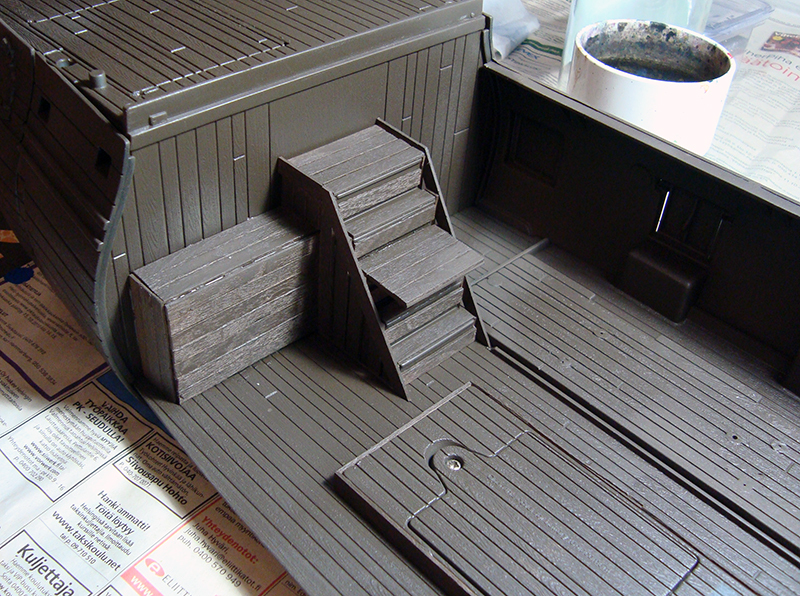 In what has to be one of the most boring updates ever on this blog, I report that the main deck of my pirate ship has now been painted a flat brown. That’s it. …ok, as an afterthought I added a before shot, showing the paneling I added to the rail. It still doesn’t make this post super interesting, but it’s something! The main thing I want to report is that the project is still going strong. I’m starting to surprise myself. Work on the pirate ship continues after a short lull spent painting the crew and watching Black Sails (watch it if you haven’t!). Rough work in progress photos as usual. 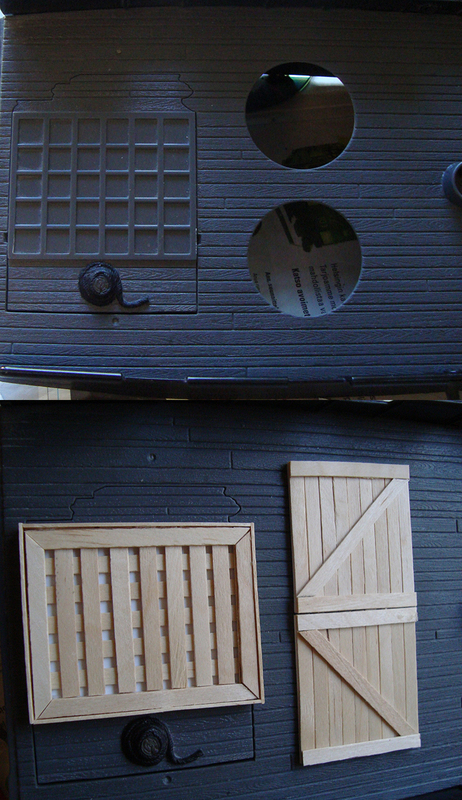 The poop deck is pretty much finished, apart from the possible addition of a small lantern next to the door. I decided not to work on the interior, as it would be extra work for little added value. 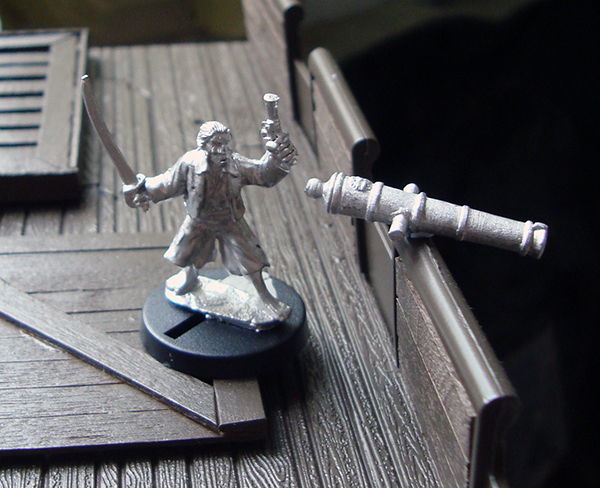 I added a ship’s wheel from Eureka Miniatures that I ordered from Fighting 15s. The door got hinges cut from a cocktail stick to cover some rough cuts in the plastic. I also added a door handle of sorts, cut off the end of a WHFB orc weapon. 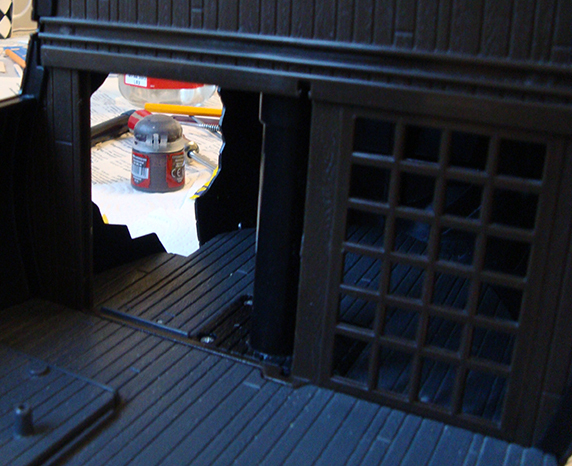 Two holes left from removing the ship’s original wheel were filled with ProCreate and sculpted to match the decking. This is some of my favourite work on the ship so far. I’m slowly getting to be a little more proficient with all the cutting and gluing, and I think it shows! I have no idea on whether you’d find a setup like that on an actual ship, but hey, this is my pirate fantasy. The lines you can see in the deck are from another toy functionality that I removed – you could press on one end of the grating piece to make the other end launch up. That wasn’t something I wanted happening with miniatures, so I just glued it shut. I’m not sure if I’m going to fix the gaps it left, probably not. Somewhat surprisingly there’s not much work on the main deck. I still need to add planking detail to the insides of the railings, but that’s it! Praise, constructive criticism and general rambling in the comments welcome as always!